Before going into a tennis match, there are many things one must consider. For example, knowing which surface you are playing on can greatly benefit you, as various tennis court surfaces all possess different characteristics. This can dictate the speed of the game, the traveling distance of the tennis ball, and the amount of impact which the court has on the tennis ball’s bounce. 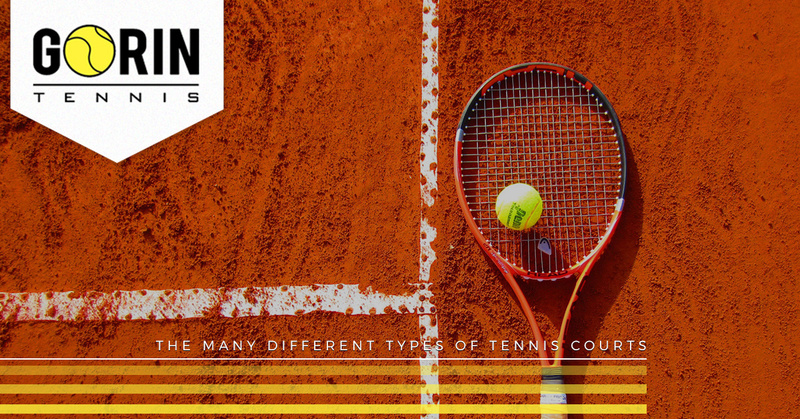 For this reason, it is important that you are knowledgeable about the many different traits of each type of tennis court. That is why, throughout this article, we will outline the different types of tennis court materials, so that you may use the information to your advantage during your next tennis match. 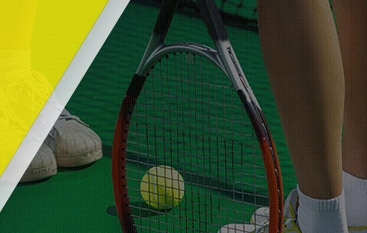 On many different occasions, Gorin Tennis Academy has been named as one of the top tennis academies in the world. We offer several different training programs which vary by age and skill level, as well as full-time programs which are available all year round. As a Global Professional Tennis Coach Association certified tennis academy, we are the only certified academy in the nation, which means that we only teach proven methods taught by professionals worldwide. To learn more about Gorin Tennis Academy, or to request information on one of our many training programs, simply contact our staff of experts today. 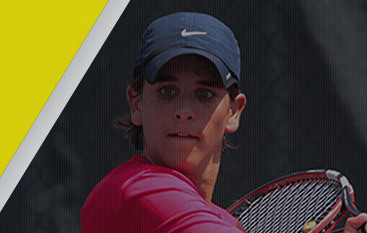 There is good reason why over 85 percent of Gorin Tennis Academy students end up receiving athletic scholarships or playing on the professional level, and that is because of our devotion to improving the skills and techniques of all our players. To learn more about the many different tennis court surfaces, continue reading below. One of the most popular court types on the professional level, clay courts require a high level of maintenance, and are not as common to tennis players competing on the amateur level. Since the level of moisture and the flatness of the court must be continuously monitored, clay courts are not as widely available to lower levels of play. You will, however, find clay courts at the highest levels of competition, such as the French Open. Tennis players competing on a clay surface will experience that the ball tends to possess a higher bounce while the clay surface itself contributes to a slower rate of play. This is why some players will fare much better on a grass surface, where they may rely on the speed of the tennis ball, while others will excel on clay courts if their strategy is centered around applying spin to the tennis ball. Although grass tennis courts are more uncommon today than they were in the past, you may still find yourself playing on a grass tennis court at some point in time. These courts are the fastest paced courts known to tennis, as they do not allow for the tennis ball to bounce as highly as it would on a clay court. Not only does the ball bounce much lower when compared to a clay court, it can also be less predictable as grass can be a fairly uneven surface to play on. Tennis players will notice that they must approach the tennis ball much more quickly for this reason. Grass tennis courts require a high level of upkeep via consistent mowing and watering, meaning that they are very costly to maintain. However, you can still find grass tennis courts at Wimbledon, the largest, oldest, and most prestigious tennis tournament known to man. Often made up of asphalt or concrete, hard courts are one of the most widely used courts around the world. Hard courts are the elusive hybrids of the tennis world, as the speed of play can vary greatly depending on the ratio of sand and topcoat paint applied to the court. For this reason, hard courts are regarded as the most fair surface to play on, as they allow for a faster ball speed than clay courts, but a slower ball speed than grass courts. 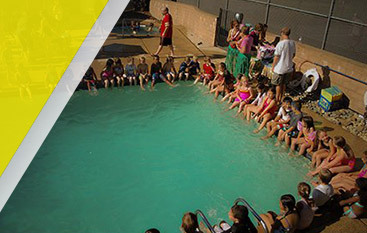 Many players feel like hard courts level the athletic playing field, as they offer a compromise between the two most popular courts for professional play. Hard tennis courts are very easy to maintain, as they require no watering, mowing, or flattening when compared to their counterparts, which is why you will see so many hard courts at schools and athletic facilities around the world. Good playing surface for every type of player. These three types of tennis court surfaces all have unique benefits for certain players, as well as drawbacks. In some instances, you may see a professional player excel on one type of tennis court while being unable to compete as well on another type of tennis court. This is fairly common, as all types of tennis courts promote different styles of play. To learn more about how to round out your level of play on all types of court surfaces, contact our knowledgeable staff today at Gorin Tennis Academy. We have successfully trained countless tennis players who have gone on to win national championships, doubles tournaments, and many other high level competitions. If you are serious about improving your tennis skills while meeting other great competitors along the way, get in touch with the professionals at Gorin Tennis Academy.